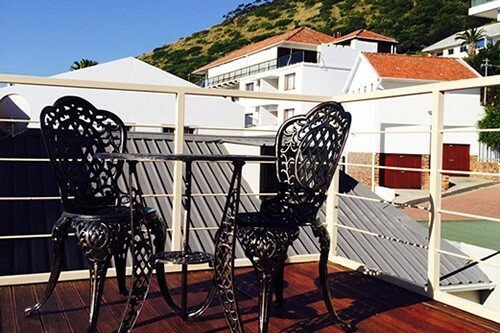 Welcome to Bergen en Zee, situated in Upper Sea Point on the Atlantic Seaboard. Large, spacious and sunny, boasting both sea and mountain views from the upper deck. 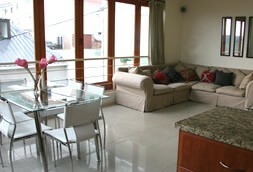 Sleeping 6, this stylish, modern and spacious double storey townhouse has 3 bedrooms and 3 bathrooms. 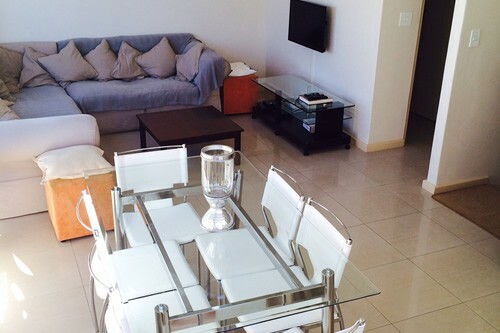 Situated within close proximity to Cape Town's city centre, the V&A Waterfront, Camps Bay and Clifton beaches. 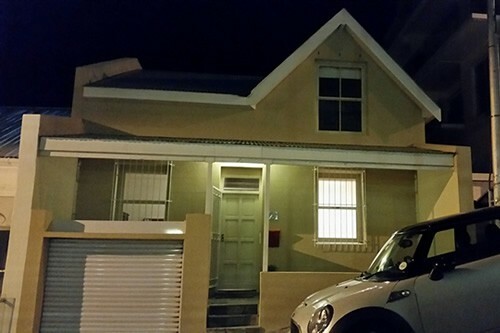 This stylish, modern and spacious double storey townhouse has the convenience of urban lving! Bordering Fresnaye, high up on the slopes of Signal Hill, one is centrally located to Clifton Beach, the V&A Waterfront and Cape Town city bowl. This open plan living area is ideal for any situation. 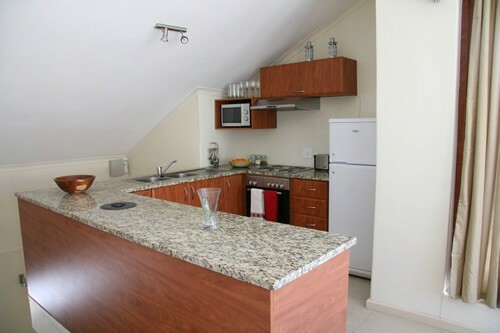 The modern, fully equipped, granite top kitchen includes a Bosch oven and hob, microwave and fridge, catering for 6 people. The comfortable lounge has a flat screen TV, DSTV and unlimited WIFI for your entertainment and enjoyment. 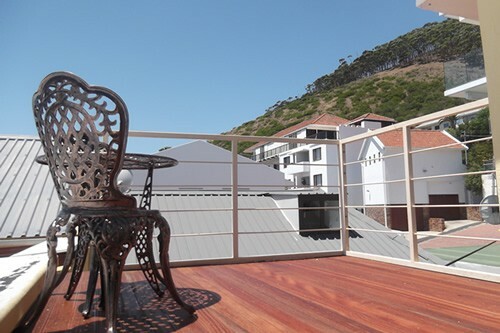 The living area has sliding doors opening out onto a raised wooden deck offering magnificent sea views towards Robben Island and majestic mountain views of Signal Hill behind – the ideal setting for sunset cocktails, barbeques or breakfast. 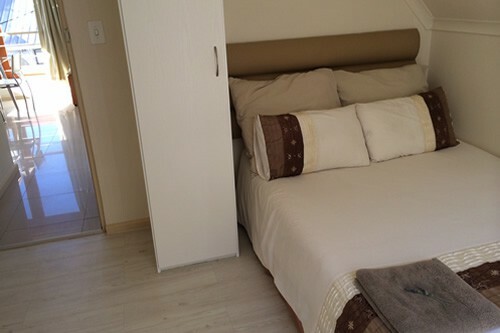 The spacious en-suite master bedroom features a king size bed and walk-in cupboard. 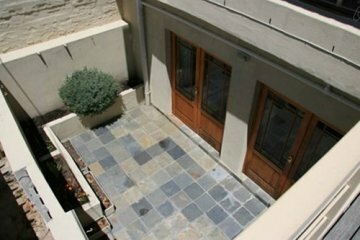 Double doors open out onto an enclosed courtyard. 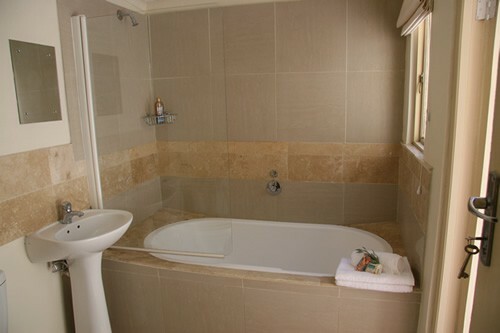 The modern, Italian style en-suite bathroom, clad with travertine tiles, has a large oval bath and overhead shower. Relax in a bubble bath while enjoying a glass of South Africa’s finest champagne. 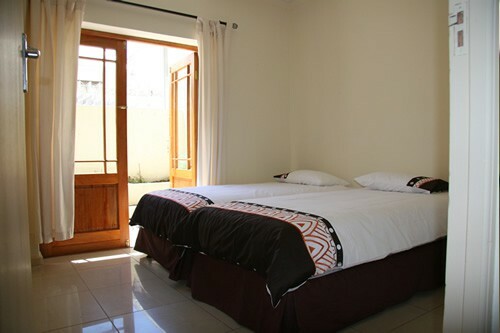 The adjacent second bedroom, furnished with two single beds, opens out onto the shared courtyard. A separate bathroom, complete with shower, basin and toilet, is adjacent. 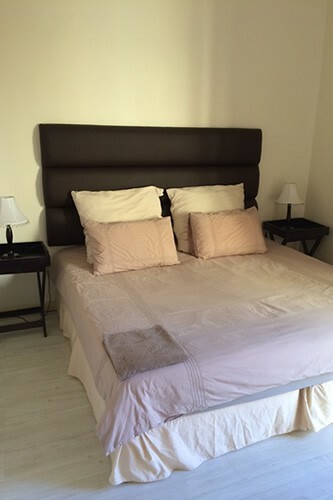 The third bedroom upstairs has a double bed and its own separate bathroom (shower and toilet). 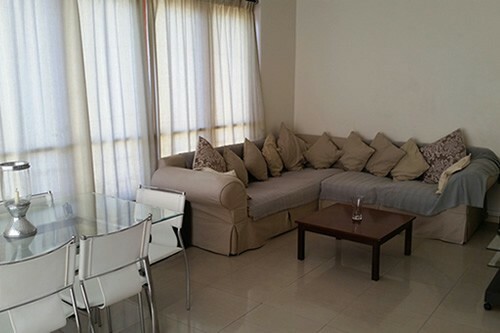 The downstairs entrance hall is spacious enough to accommodate extra luggage and equipment and has a desk ideal for those wishing to conduct business or studies. The automated garage offers off street parking for a medium sized sedan. There is secure parking in the cal-de-sac for another two cars. 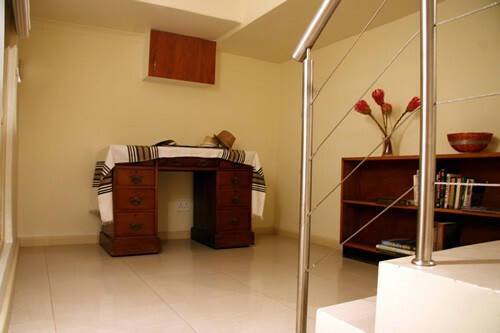 The house is equipped with an alarm system for your security.